Forget many of the more modern "arcades", full of skill-testers and UFO catchers. Sometimes you just want to play something old, vintage, with wood-panelling and a faded marquee. An arcade game with history. Sadly, classic arcades are hard to come by these days. So here's how to find one. Carly Kocurek's detailed map seeks to include as many truly classic arcades as it can. 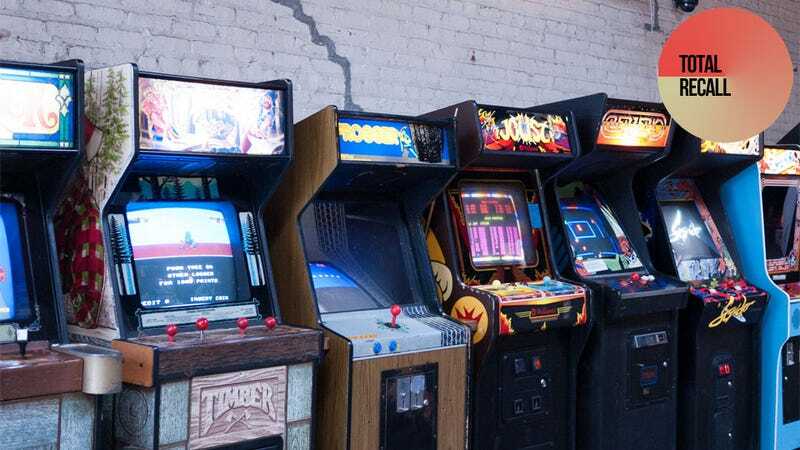 While the emphasis is on dedicated, vintage arcades, there's also scope to include something more contemporary, or a venue that's not just an arcade, if it at least has a "significant number of classic arcade machines". The map probably doesn't include everything, nor does it include private arcades, so if you see something's missing, there's contact info here to get something added. Complementing the map is this website, which attempts to catalogue which games are available at each arcade. The Scandia Family Fun Center in Fairfield, California, for example, has Joust, Asteroids, Afterburner and even the badass Thunder Blade with the sit-in cockpit. If you want to plan a trip to a truly classic arcade, you can find the interactive map at the link below. If you're in Montana, Minnesota, New Mexico or Mississippi, you might also want to consult guides on very long road trips.